Visitors are most welcome ! 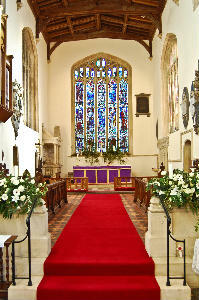 We greatly enjoy welcoming all the many visitors we have to our historic and vibrant church. Some people come to join in our Services and others just to visit our wonderful church building. You are most welcome whatever you choose to do. Visitors are welcome and the duty steward is available to answer any questions. A variety of literature, postcards etc is to be found on the table at the back of the church. Please be aware that our historic church building does not receive any funding from the state and a monetary donation is very welcome. Alternatively click here to read more about ways of making a donation. Thank you.